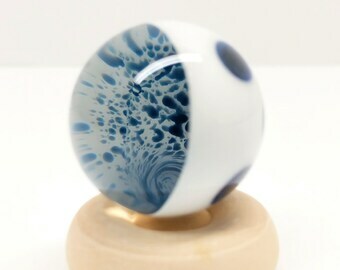 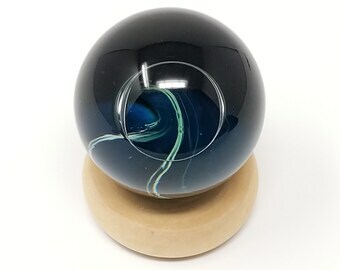 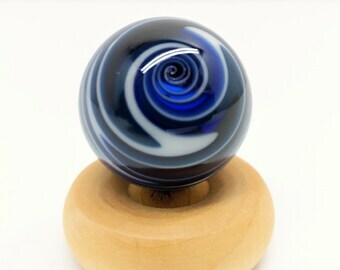 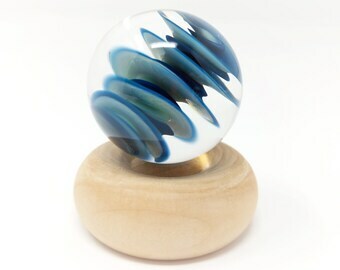 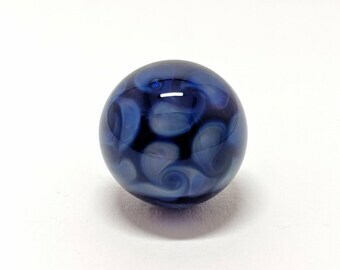 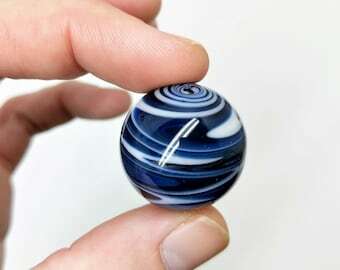 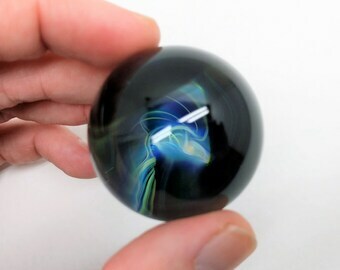 This beautiful Energy Bloom Marble was handspun by Pathways artist, Sean, with silver fumed 10mm quality clear glass rod backed with a gorgeous cobalt blue' glass. 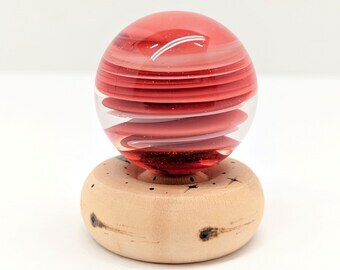 The rod is heated until molten and a gather of glass is created. 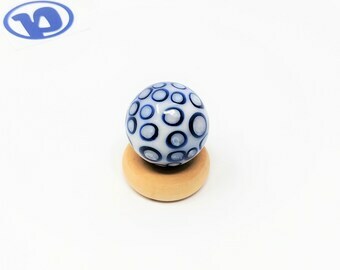 The gather is then flattened to a disc shape. 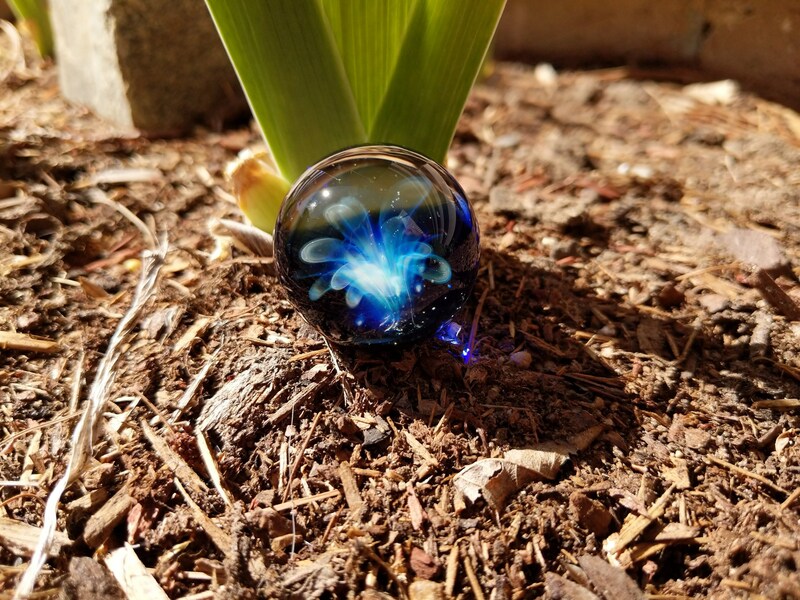 The flat side of the disc is fumed with silver. 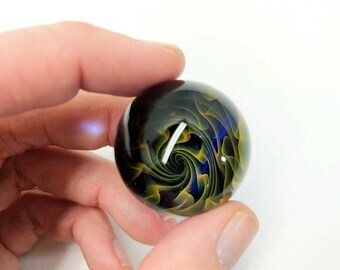 Clear molten lines of glass are added over the fume to trap the fume work and create the petals. The edge of the disc is then heated and we'll using gravity to pull the molten glass downward, the trapped fume petals start to stretch and implode into the clear. 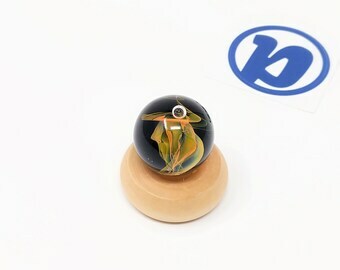 The clear lens gives a wonderful realm of depth in 3D. 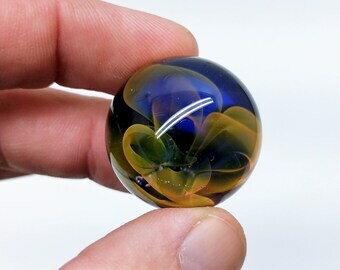 Silver fuming produces all the color in the petal implosions which create the 'Energy Bloom' effect. 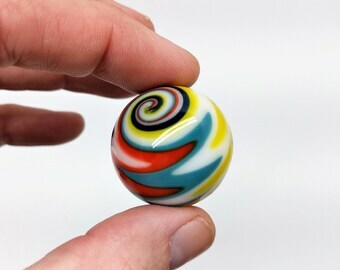 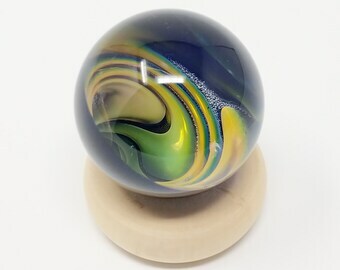 This marble is 1.1" thick. 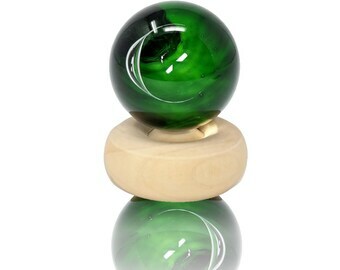 A perfect focal point for any meditation!